I do a lot of listening in my job. Listening to speaker’s words. All shapes and sizes. In terms of delivery techniques, I’ve seen and heard it all. The good. The bad. And (every once in a while) the downright ugly. Sounds familiar? But there’s one thing I’ve noticed that seems to be overlooked far too often. 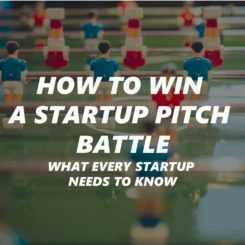 A small yet powerful delivery technique I constantly use to create more impact, get my ideas to stick and even (when it matters) boost my credibility. 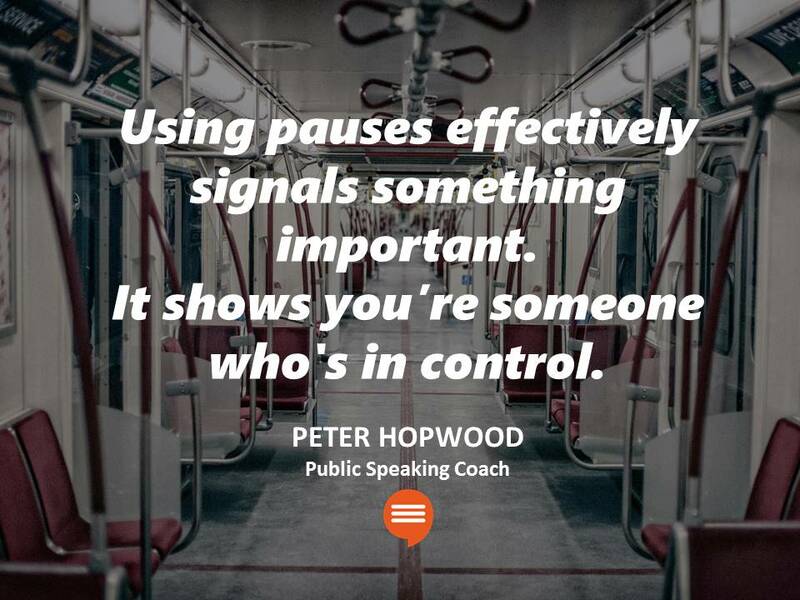 Yep – pausing in public speaking effectively. Try to think of the pause as a secret weapon. It’s a master technique that really does add strength to your messages. Pausing in public speaking helps your audience absorb your messages with ease. Such a precious part of any strong speech. Used correctly, they help deliver your messages in a stronger more memorable way to your listeners. Using pauses effectively signals something important. It shows you’re someone who’s in control. It says you’re confident and comfortable enough to embrace silence during your speech. Silence which can really highlight and enhance essential points. 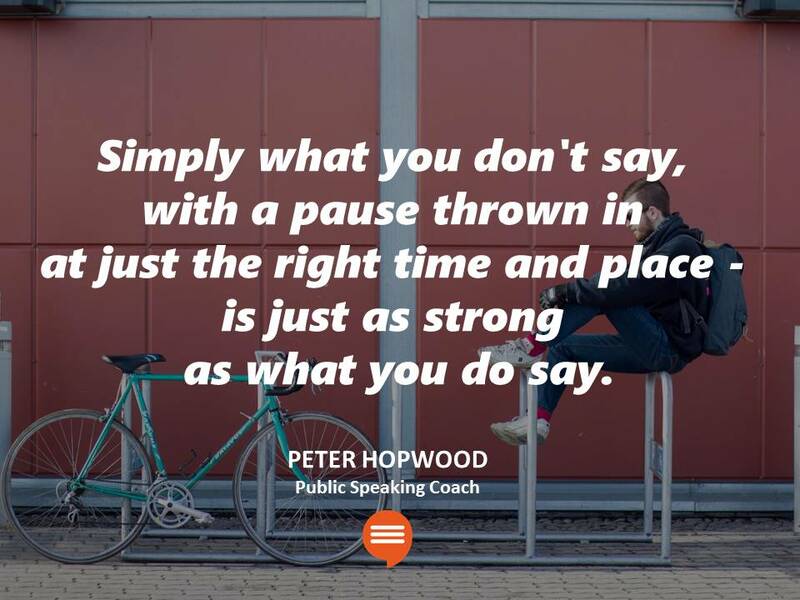 Simply what you don’t say, with a pause thrown in at just the right time and place – is just as strong as what you do say. I’m always fascinated by the way politicians and business leaders speak in public. Strong leaders and influential politicians understand pausing in public speaking can really add impact. They fuel a sense of drama to their words just at the right moment. We’ve all seen our fair share of political debates both in the UK and the USA. Think of the politician who comes out on top? You’ll find it’s usually the one who seems to be more in control. The one who actually has less to say, who commands a steady relaxed pace in full command of his pauses. Remember, great leaders think before they speak. TRY THIS: head over to YouTube and check out a few political debates. Listen and watch carefully to the way certain politicians use pauses in their delivery. Notice how they add impact and power to the messages. Notice which politician speaks the least. If you’ve ever worked with me or seen me on stage, you’ll know I love to sprinkle my messages with pauses and moments of silence. I quickly learned pauses gave me the chance to clearly punctuate my sentences. My audience always knows when one phrase, sentence or section comes to an end before moving with me onto the next. Think about your words on paper. 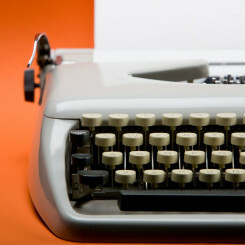 Your written script contains a bunch of full stops, commas, exclamation marks and bullet points. Punctuation creates a format. 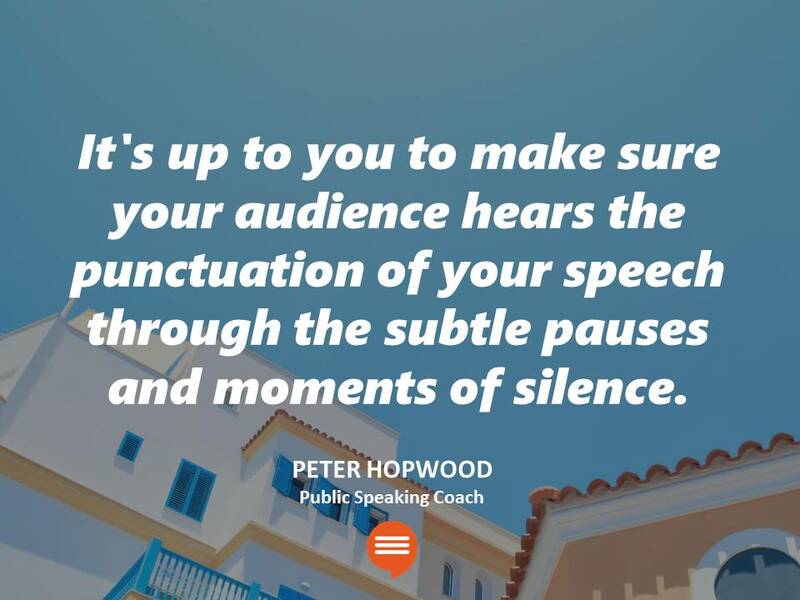 Your audience can’t see this punctuation so it’s up to you to make sure they „hear“ it through the subtle pauses and moments of silence. 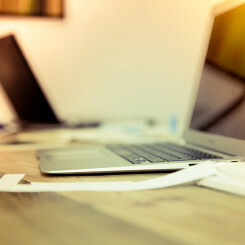 TRY THIS: Find a short article online. Choose a couple of paragraphs with simple vocabulary. Now, read the words slowly. Intentionally throw in pauses where you see commas and full stops. Aim to really highlight the messages in the text by pausing and discover how you can make any text more memorable. As a speaker, I discovered each time I paused, however short – it actually gave me a second or two to realign my thoughts and gather the words ready to say the next sentence. Having that short window to focus on what’s coming next will actually help you to express yourself with slightly more clarity. 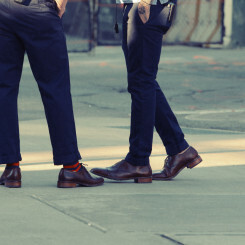 So in a way, pausing in public speaking lets your mind “catch up” with what you’re saying. First we need to think of the words – then we focus on delivering them as we say them, together with our body language and gestures. TRY THIS: Think about a topic you know quite well. Start talking to yourself outloud (unrehearsed) about the topic as if you were speaking in front of crowd. Pause intentionally after each sentence. Notice how this helps you focus on the next message in your head ready to say the next line. 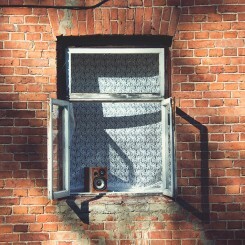 There are many things that give away a speaker’s nervousness on stage. One of those is speed and pace. Speaking at a slightly faster than normal pace without pausing and not stopping to catch your breath is often a sign of anxiety. Furthermore this puts pressure on your audience as they struggle to keep up. Our job as a presenter is to always make things easy for our listeners. 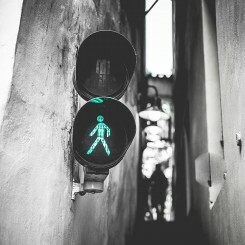 When we stop to pause, we can then breathe a little and move on. Breathing as we pause actually has tremendous impact helping us to bring down the anxiety level. 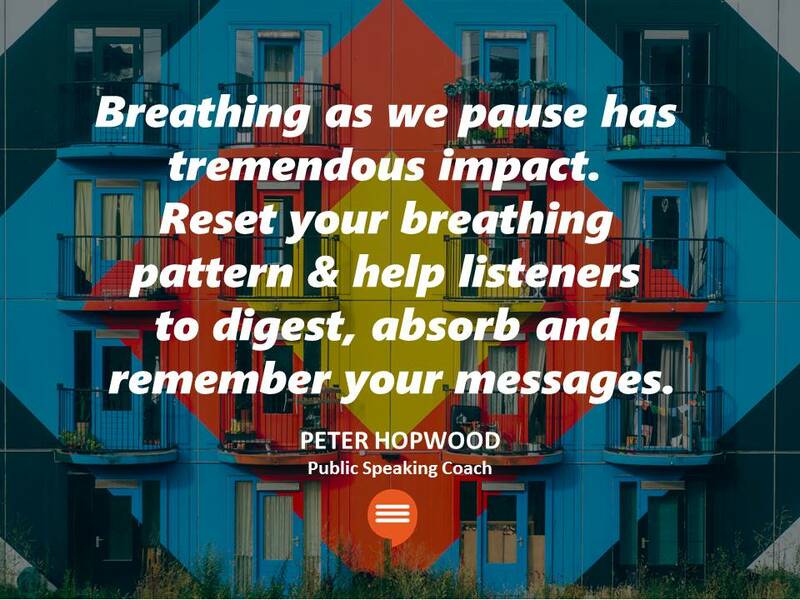 This resets our breathing pattern, which in turn makes it easy for your audience to digest, absorb and remember our messages with lots of time. TRY THIS: Listen to Barack Obama during one of his speeches. Notice how he seems calm. Confident and in control. How does that make you feel as a listener? He knows how to make his audience feel comfortable and relaxed – often by controlling his breathing and using pauses to his advantage. We’ve all done it at some stage. Overusing filler words such as um, er and uh. For many of us we throw them in because we feel we need to fill the silence and they just seem to pop out. Constantly using these can often send the wrong signals to your listeners. Additionally, they can undermine your credibility and tarnish your competence. Sometimes it gives the impression you’re not prepared for your speech. 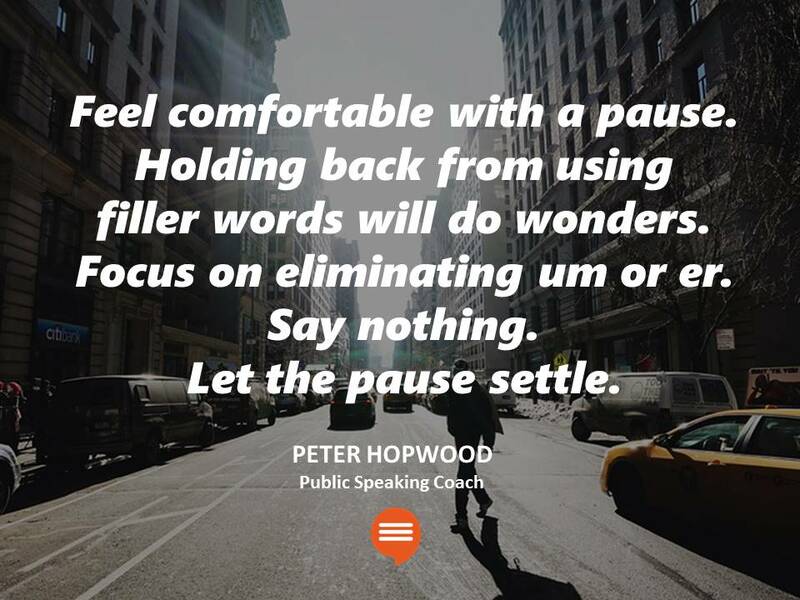 Feeling comfortable with a pause and holding back from using a filler word will do wonders for pausing in public speaking. TRY THIS: The next time you’re in a conversation (even with a friend) try to intentionally hold back from saying um or er. Say nothing. Let the pause settle. It’s not easy to suddenly get rid of all of them but over time you’ll learn how to slowly eliminate using too many filler words. There you have it. 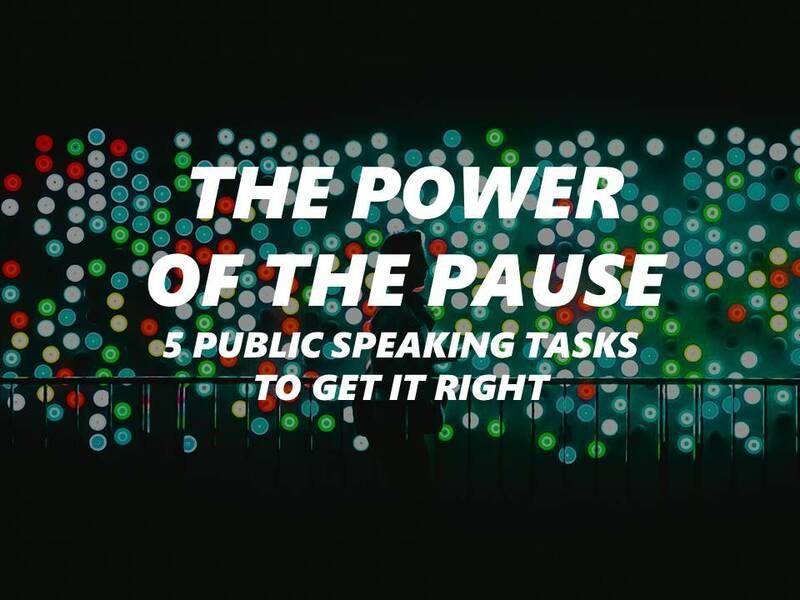 A selection of ideas to work on to help you use pauses more often in your public speaking. It’s not always easy but gradually as you persist, you’ll see the impact it will have. Anything to add? Any juicy tips you use that could help? I’d love to hear.